Cash is a 6-month-old pup weighing about 50 pounds. This energetic, friendly pooch is ready for adoption at the Champaign County Animal Welfare League. 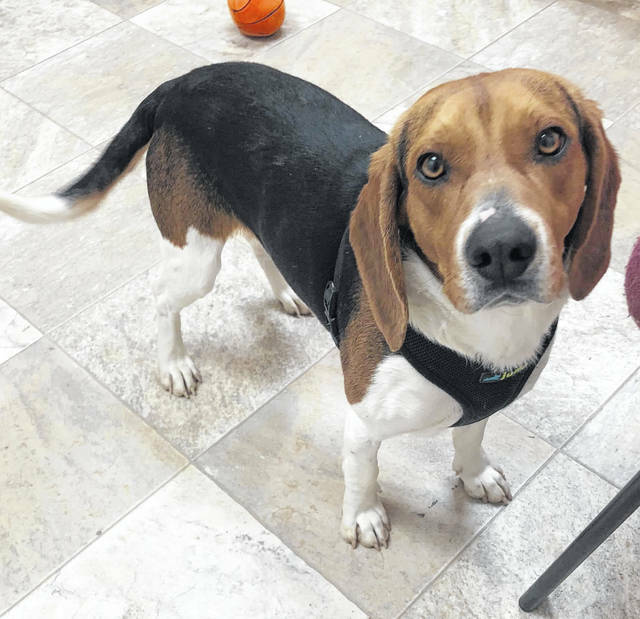 Hutch, a 3-year-old Beagle, needs a new home. Perhaps yours? Check him out at Barely Used Pets. Selena, 5, is sweet and playful and ready for a new home. Pay her a call at PAWS Animal Shelter. Meet Hutch! He is a 3-year-old Beagle who came to us from another shelter. Hutch is such a loving boy. He wants to be right with you. He will absolutely melt your heart. Hutch gets along great with other dogs. He is up to date on his vaccinations and scheduled to be neutered. His adoption fee is $150. Selena is still looking for her home. 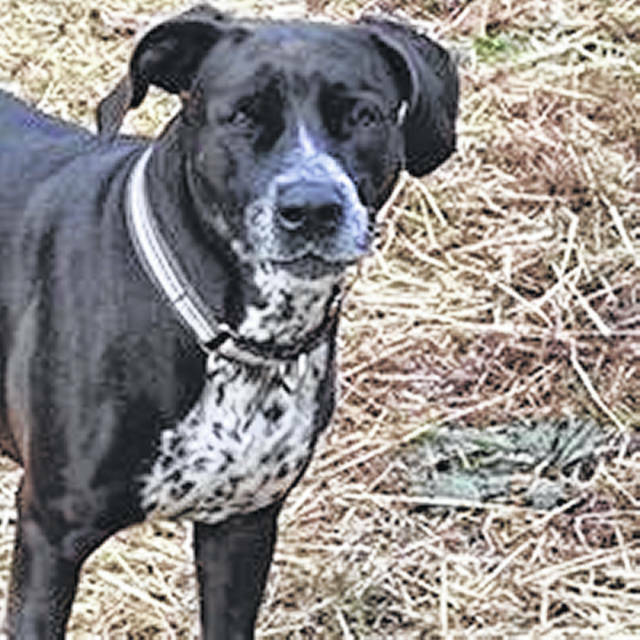 She’s a 5-year-old female pointer mix. She’s sweet and playful and will make a wonderful companion. She’s looking for a home with a fenced-in yard and no small animals. Selena is spayed and up to date on her vaccinations. She will need a meet & greet with any other dogs that may be at her new home. 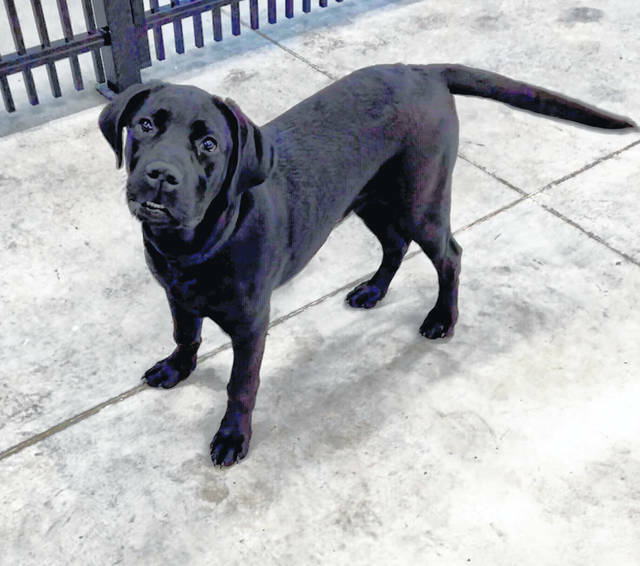 Cash is a 6-month-old Black Lab/Dane Mix weighing about 50 pounds. He came to CCAWL as an unclaimed stray and is now trying to find the perfect home. Cash is your typical out-going, playful and loving pup. He gets along with other dogs and can be cat-tested if needed. Cash will need an owner patient with house-training, but we don’t think it would take long for him to get the hang of it. He has been neutered, microchipped and is current on all age-appropriate vaccinations. Cash has been dewormed and is current on flea and heartworm prevention. Announcement: CCAWL will have a low-cost pet vaccination clinic March 30 from 10 a.m. to 2 p.m. Open to county and non-county residents. The charge is $12 per shot per cat or dog. We are also providing you with a great deal on a year’s worth of heart worm prevention! If you want your pet to get the 3-year Rabies, you must bring proof of past Rabies vaccination records from your vet. Cash, credit or debit only. Please be sure pets are leashed or caged. https://www.urbanacitizen.com/wp-content/uploads/sites/36/2019/03/web1_LeagueDog-3.jpegCash is a 6-month-old pup weighing about 50 pounds. This energetic, friendly pooch is ready for adoption at the Champaign County Animal Welfare League. https://www.urbanacitizen.com/wp-content/uploads/sites/36/2019/03/web1_BarelyDog-3.jpgHutch, a 3-year-old Beagle, needs a new home. Perhaps yours? Check him out at Barely Used Pets. https://www.urbanacitizen.com/wp-content/uploads/sites/36/2019/03/web1_PAWS.jpgSelena, 5, is sweet and playful and ready for a new home. Pay her a call at PAWS Animal Shelter.